Interest in the re/insurance industry’s use of insurance-linked securities to spread its risk of exposure to global catastrophes continues to grow and Bermuda could benefit from this resurgence, business magazine “Financial News” reports today [Nov. 6]. Through insurance-linked securities, insurance risk is transferred in a capital markets contract, explained “Financial News’. They include catastrophe bonds, extreme mortality bonds, industry loss warranty derivatives and catastrophe futures contracts. At the insurance industry’s annual conference in Monte Carlo in September, the consensus was that growing demand for the market is a sign that investors are increasingly seeing opportunity in devastation. Earlier this year Bermuda’s Argo Group International Holdings Ltd. placed a $100 million catastrophe bond, the company announced yesterday. The Hamilton re/insurer was the latest player in the Bermuda market to enter the insurance-linked securities market this year, after Alterra, Lancashire and Validus. Bermuda’s efforts to increase its share of the insurance-linked securities market has been gaining traction in recent years. However, the island still faces hurdles as it seeks to become the domicile of choice for cat bonds. Analysts say it’s unclear if Bermuda can catch up with the Cayman Islands, which has dominated the cat bond market since its inception in 1997. The momentum is driven largely by the Bermuda Monetary Authority’s revised regulations, which in late 2009 established a new designation for “special-purpose insurers” as part of its supervisory scheme. The new framework is “very favuorable, and long term it will work to the advantage of Bermuda to have this in place,” said Paul Schultz, president of Chicago-based Aon Benfield Securities Inc., which arranged the first two Bermuda-based deals brought to market aftere Bermuda revamped its rules. 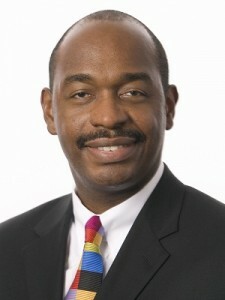 Under the previous framework, special-purpose insurers would have been treated as a Class 3 reinsurer, and subject to high capital requirements and other regulations that were generally viewed as “burdensome” because the “vehicles are fully collateralised, therefore [they] have a very low risk of insolvency,” said Charles Collis of Bermuda law firm Conyers Dill & Pearman. Now, lower capital requirements and other modifications have made the designation more efficient and attractive for potential sponsors, he said. In addition, the regulation’s speed-to-market features also are very appealing and most special-purpose insurers can be formed in less than a week, legal experts say. According to the BMA, which recognises that capital market solutions have become increasingly important to the insurance industry, numerous special-purpose insurers have been formed since the class became effective. In addition, experts say if there is a market-changing event, such as a significant catastrophe, the Bermuda market anticipates there will be more sidecars and collateralized vehicles launched, as opposed to new company startups. Jeremy Cox [pictured at top], CEO of the BMA, agreed. If Bermuda is not going to see a lot of the same traditional formations as in the past, then “we wanted to put Bermuda in a position to accept this new breed of reinsurance,” which is more likely to be in the form of 100 percent collateralised reinsurance, he said. “Those attractions have only become more apparent over the course of the financial crisis,” said the magazine. ” … This means that even after the earthquakes in Christchurch, New Zealand, in February and Tohoku, Japan, in March, the Swiss Re Cat Bond index, which tracks the performance of the catastrophe bond market, has still posted a positive return this year. “Industry players agree that the lack of correlation and positive returns has widened the appeal for the asset class. Five years’ ago, for instance, investors with Bermuda-based Nephila Capital were mostly funds of funds and family offices, according to managing partner Greg Hagood.